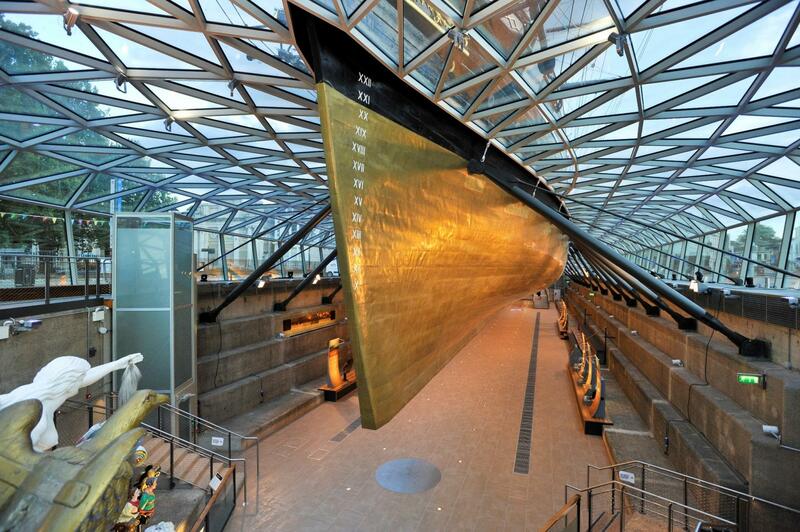 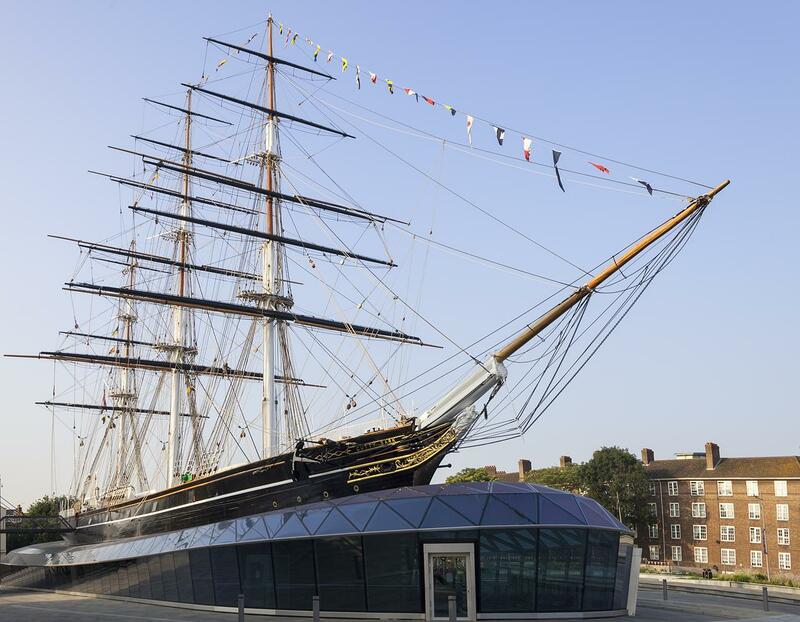 The dock is a modern space built after the refurbishment of Cutty Sark’s fire in 2007. 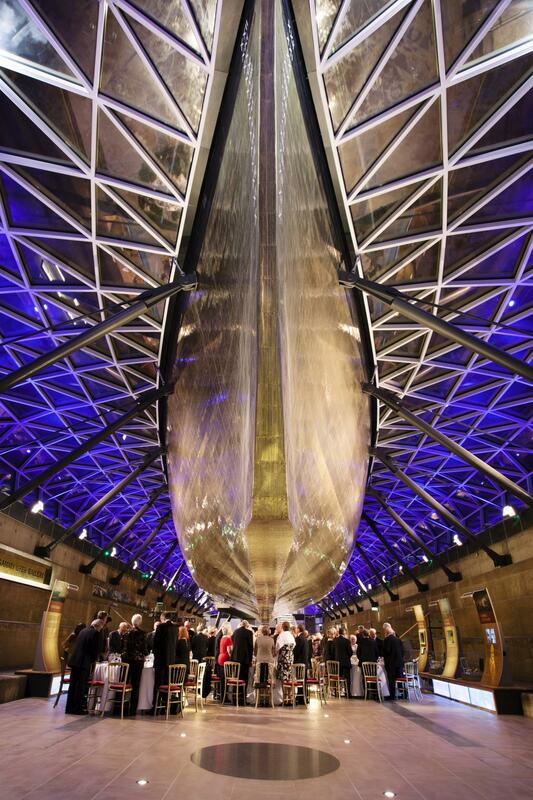 The ship, all 963 tonnes, is suspended 3 metres above the floor, Cutty Sark is the only original ship in the world where guests can dine and entertain underneath. 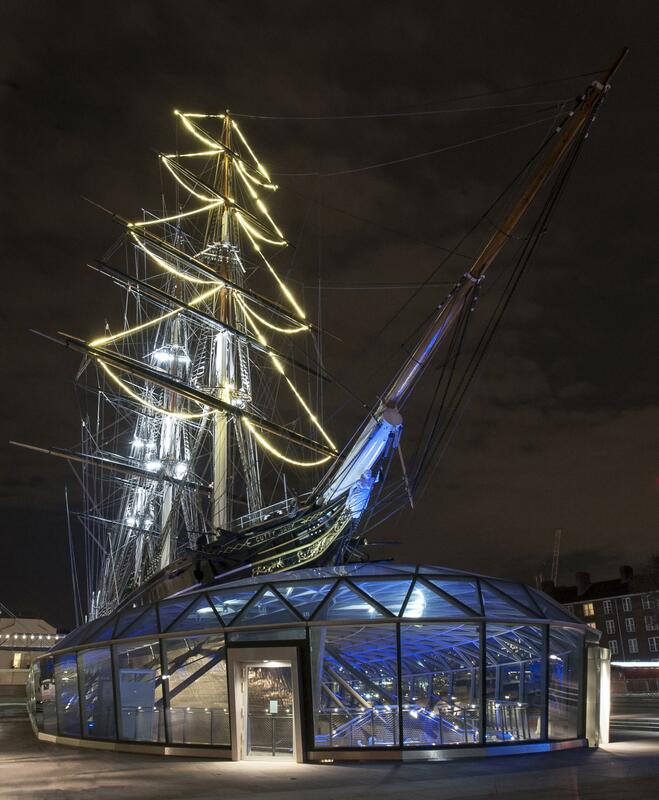 Her geodesic glass canopy, floods the dock with natural daylight, whilst built in lighting makes her hull glimmer in the evening. 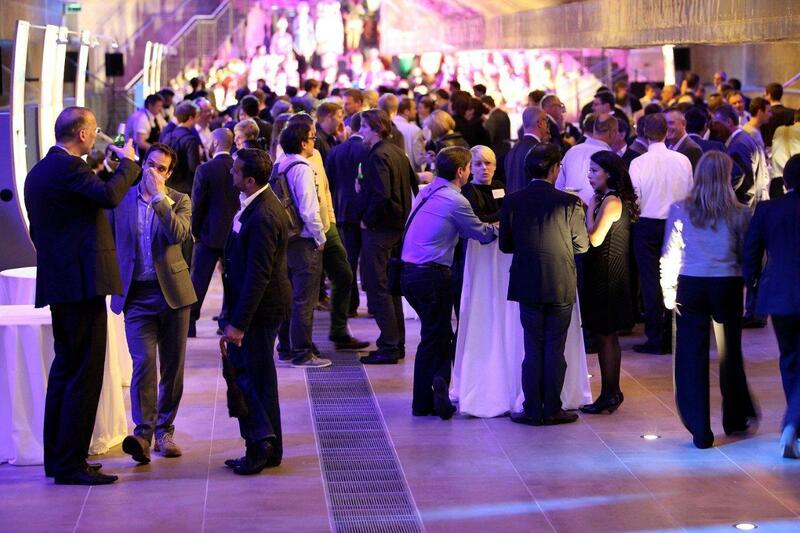 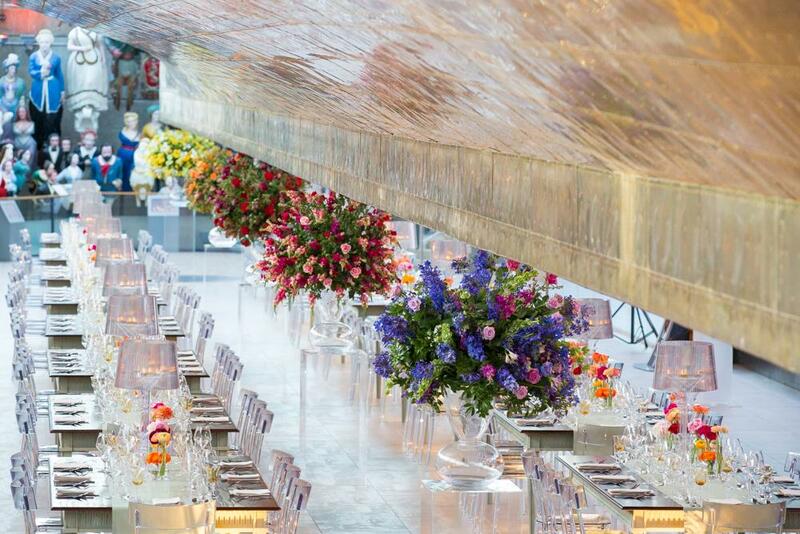 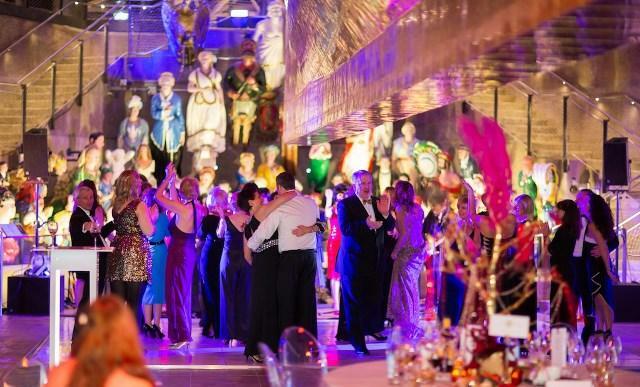 This is our largest space and is perfect for dining, drinks reception and dancing late into the evening. 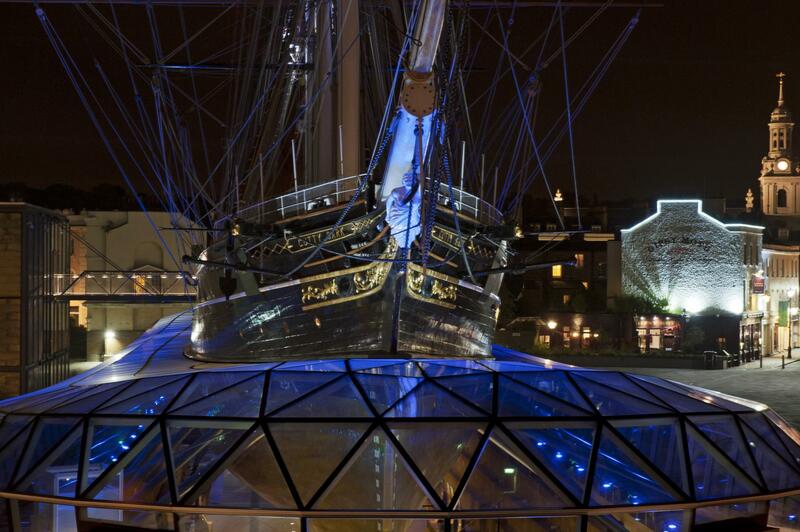 Enhance your guests experience with a curator welcome, astronomer led telescope viewings or performances by historical interpreters to bring the history of the ship to life. 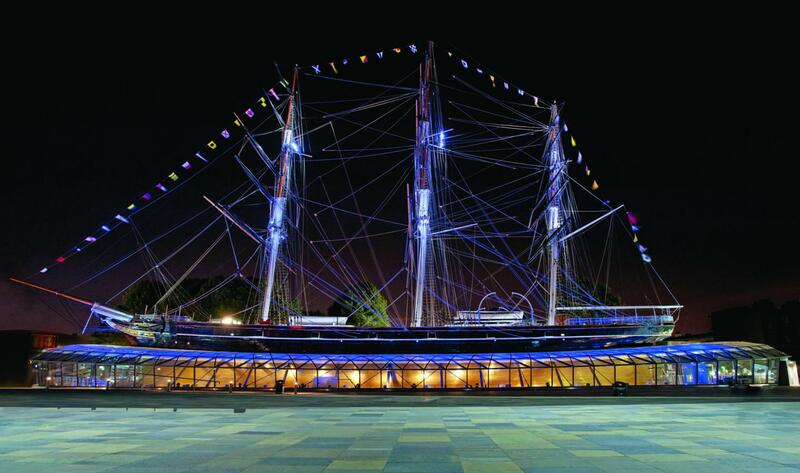 Built in 1869 to carry tea back from China, this monument to the glory days of sail travelled the world and survived the high seas. 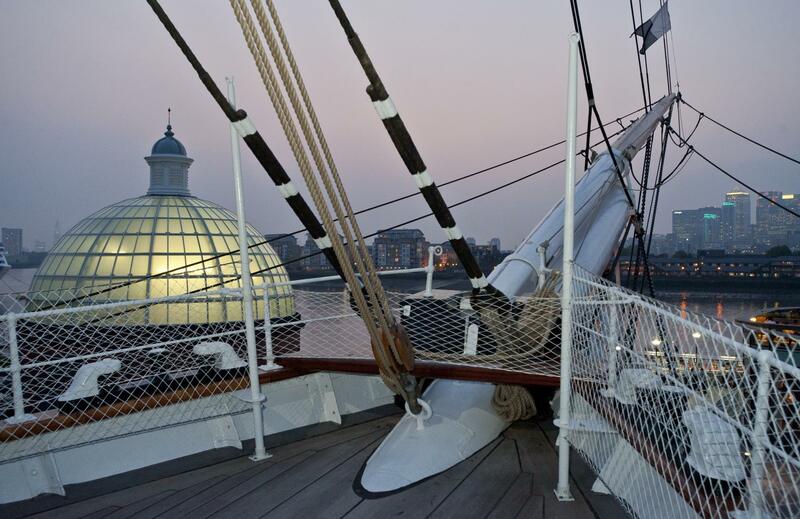 The ship boasts a spectacular riverside setting, with a sweeping outlook across the Thames to the city beyond. 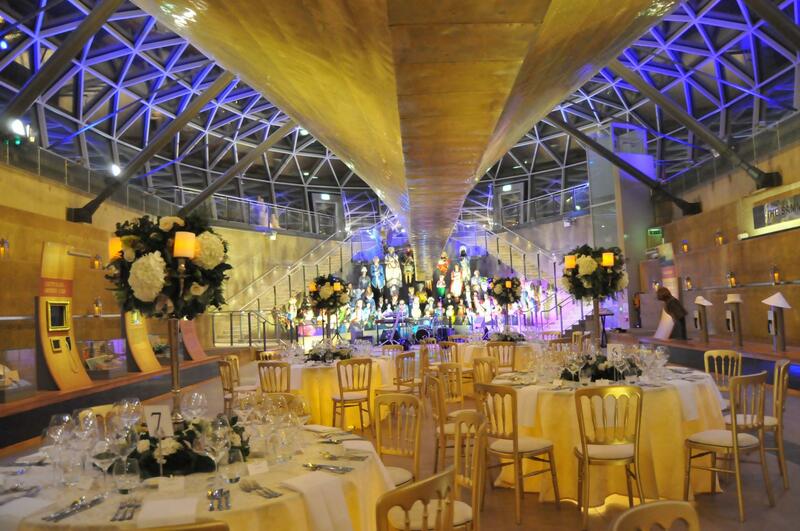 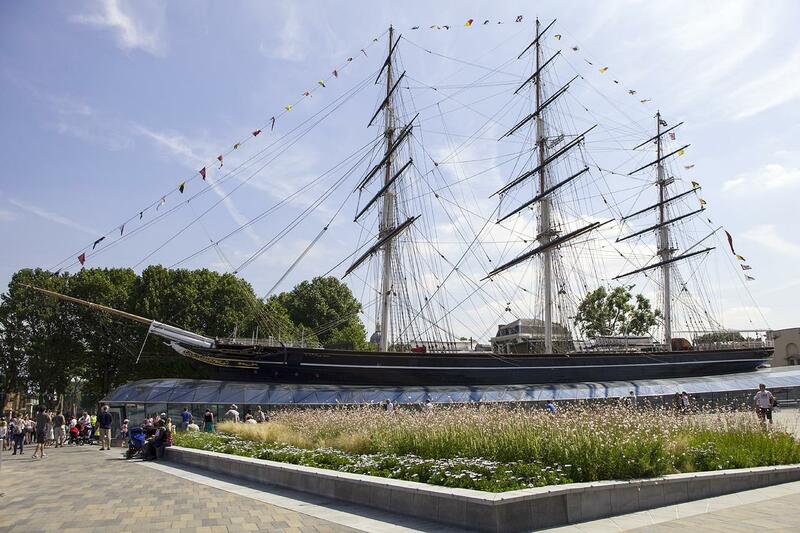 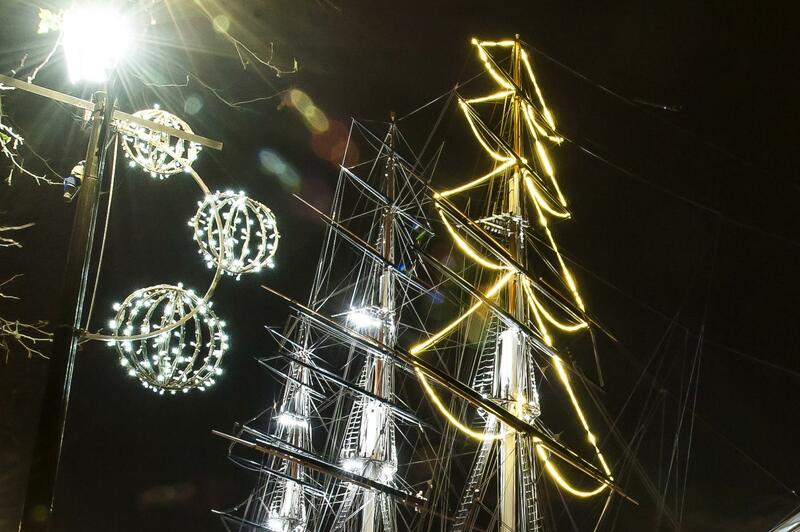 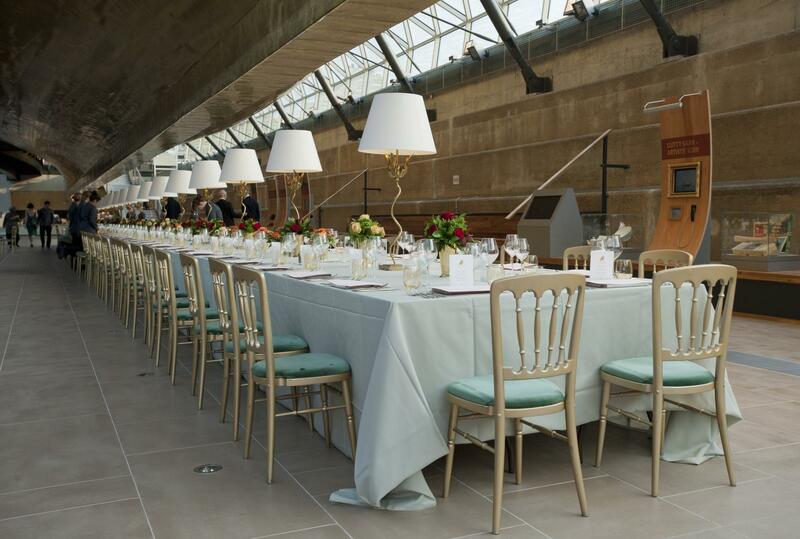 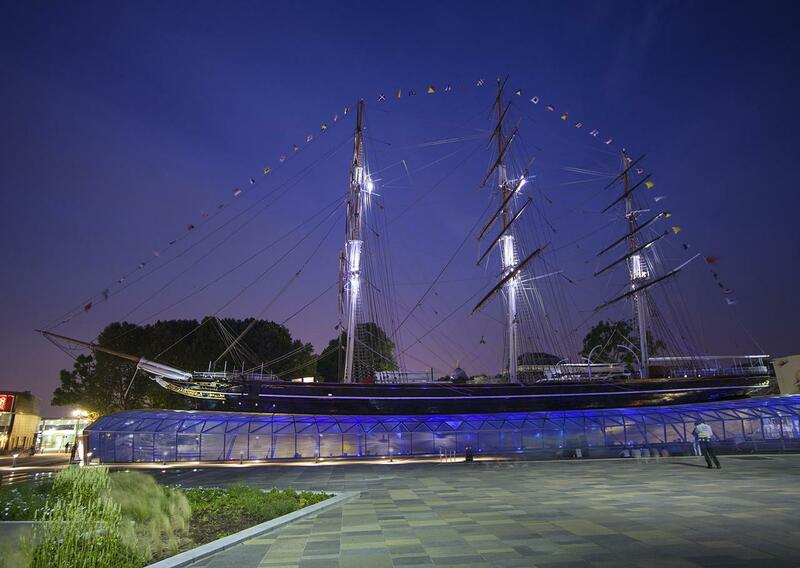 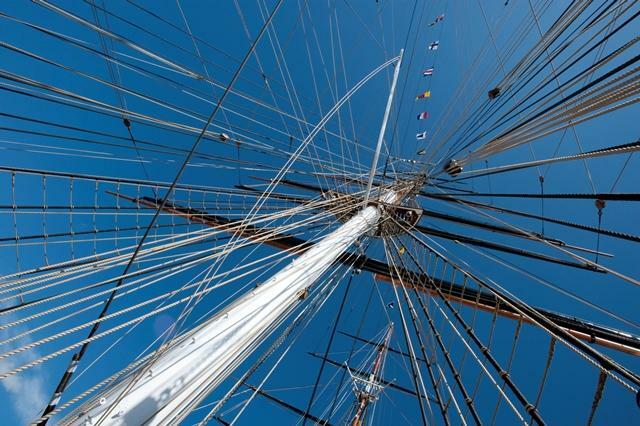 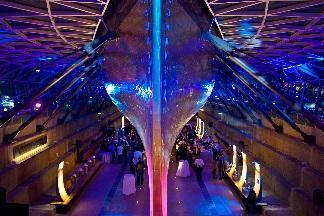 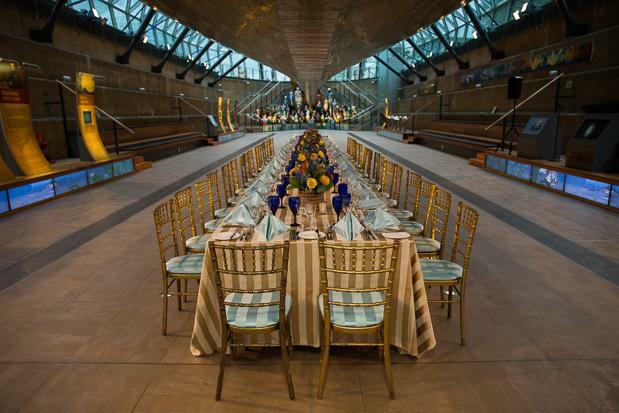 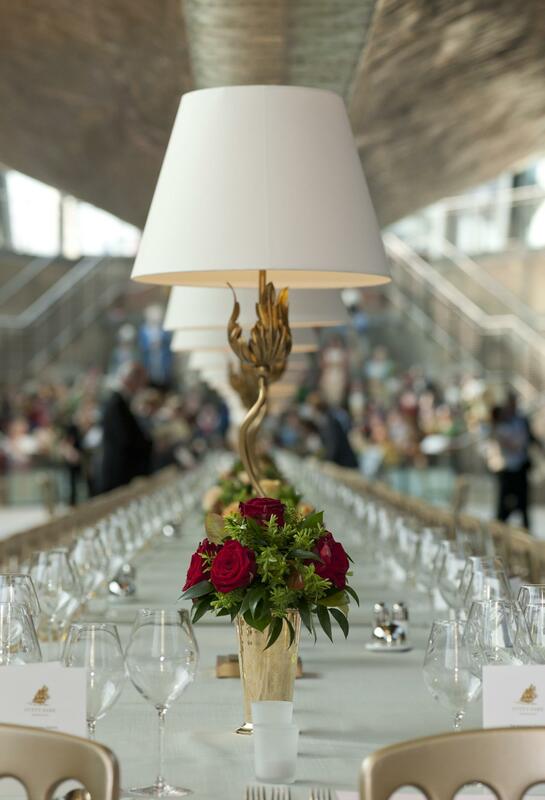 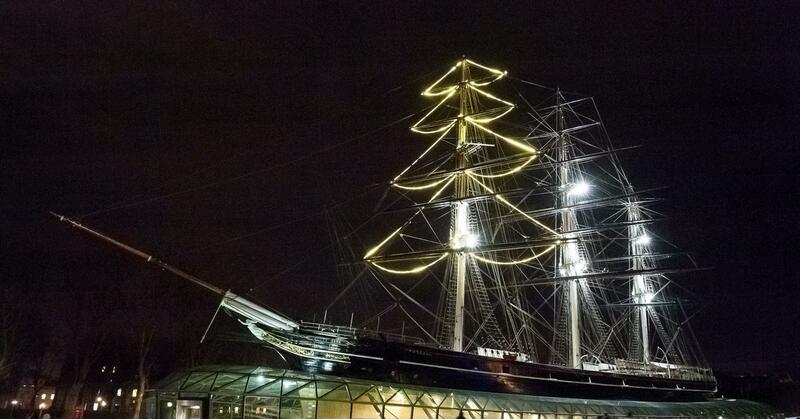 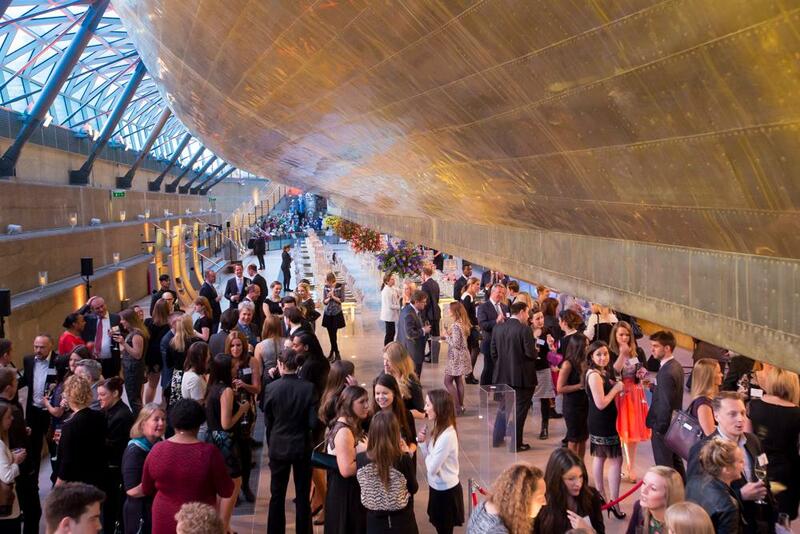 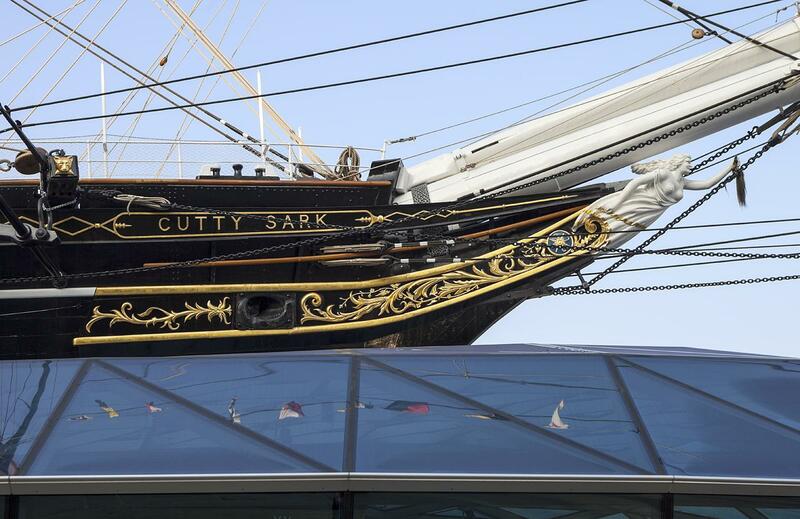 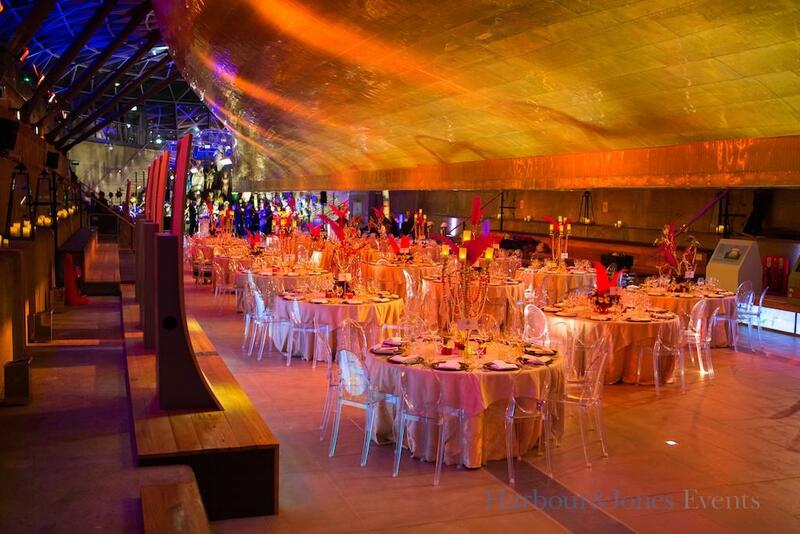 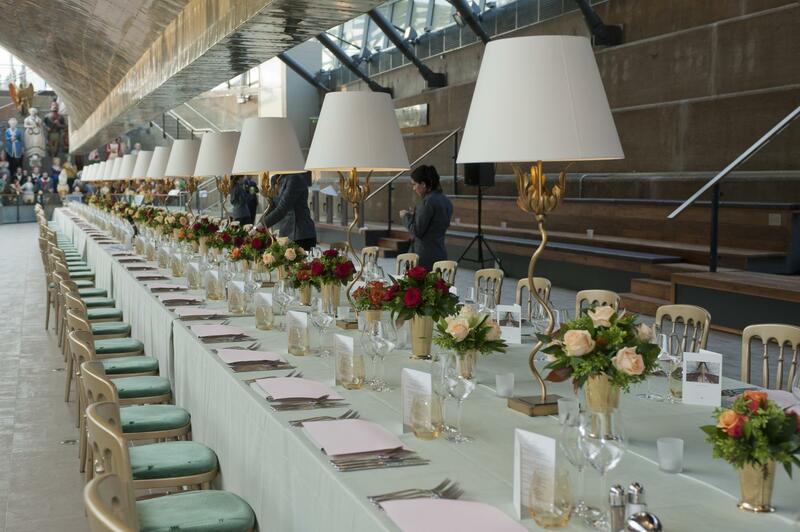 Entertaining on Cutty Sark is a truly exclusive experience, with four superb locations for evening events. 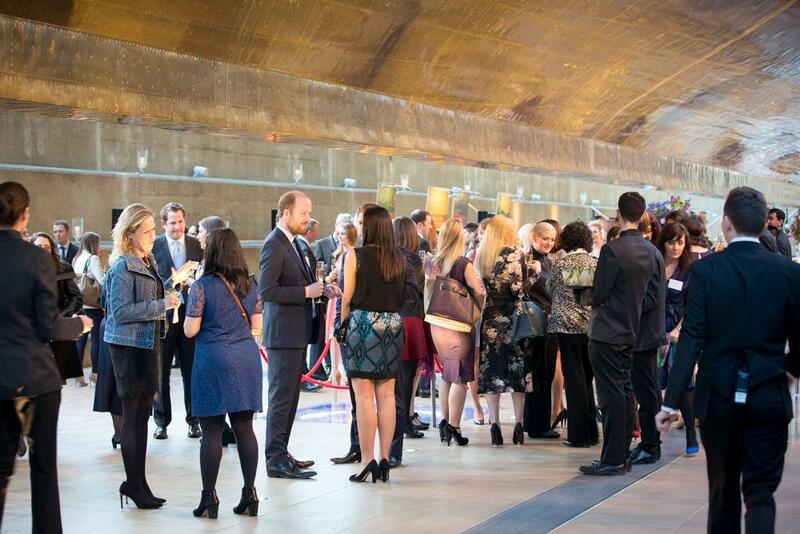 The ship’s gleaming copper-clad hull is suspended dramatically above the Dock –an awe inspiring event space ideal for receptions, dinners and product launches – while the ‘tween deck – where precious cargoes were once carried – also provides a unique space for dinners.